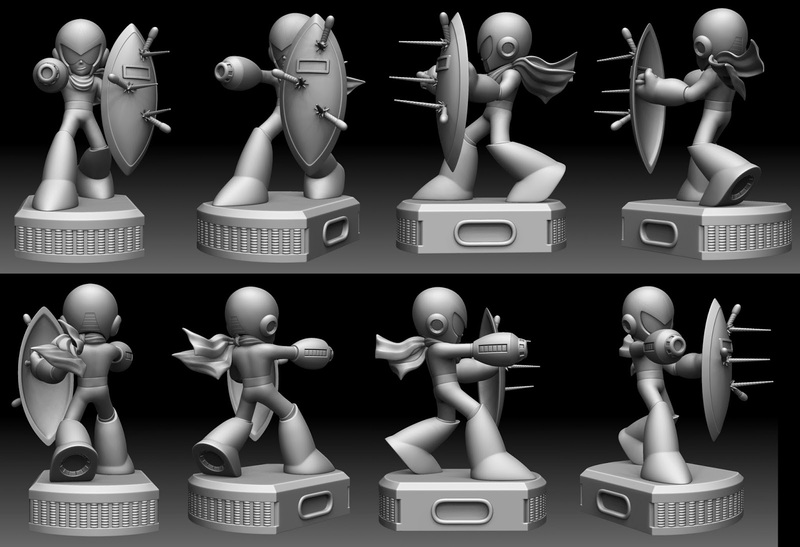 It would seem yet another Mega Man figure is in the works at First 4 Figures. Over on Facebook, the manufacturer shared a glimpse of a work-in-progress Proto Man figure. The computer-generated render depicts the red rocker fending off a barrage of projectiles. A dramatic pose, to say the least. So yeah, I think this pretty much confirms an entire Mega Man line of figures and statues. No complaints here (F4F's stuff is top-notch work). Still no word when these guys will hit retail, though. We'll keep an ear to the ground. Stay tuned! Looks better than the Rock one IMO, very cool! Wow, I really like it. Very cool figures.